Quiet alley and garbage trucks, I am intrigued. Nondescript door, albeit nice font, and a dark entrance, I like this change of pace. 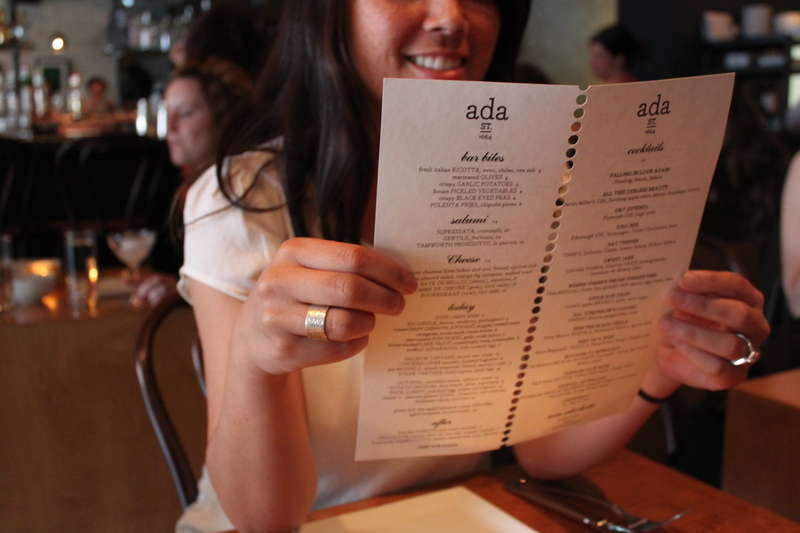 Welcome to Ada St. restaurant. 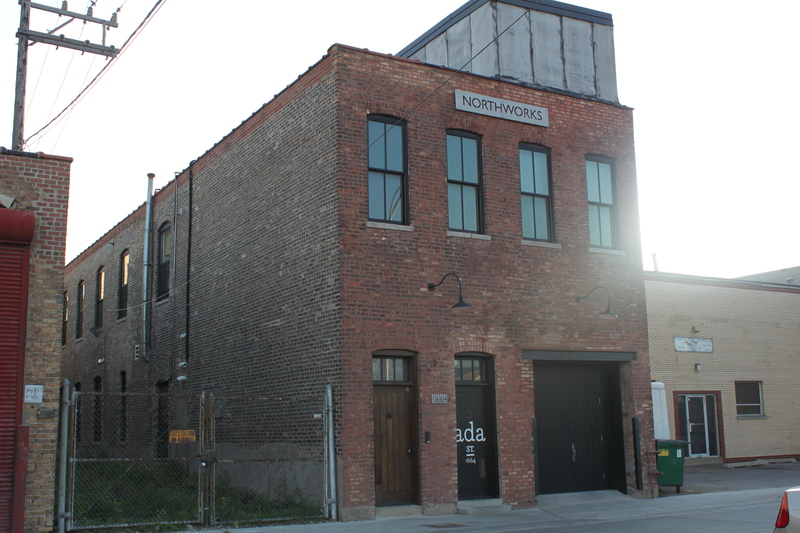 It opened up to what looks like a converted garage/factory space complete with a glass garage door and bright green lawn. 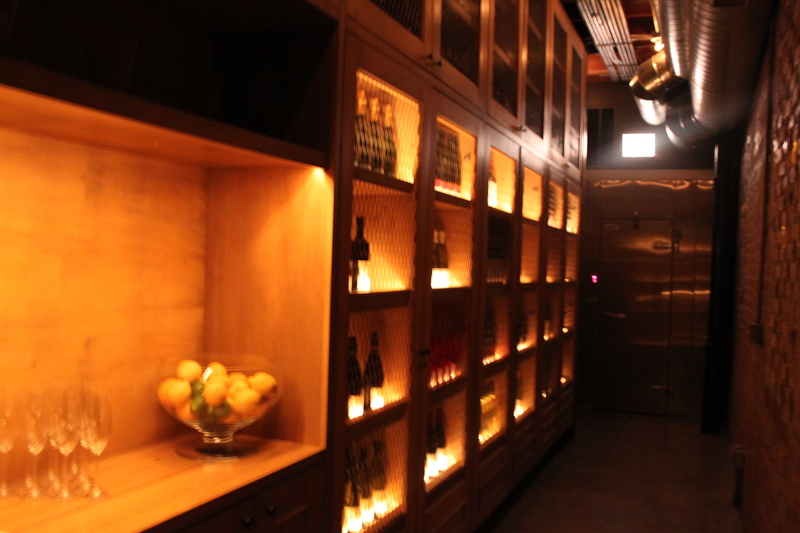 Think industrial exposed wood, brick and glass but still welcoming and warm. Wait, what is that I see…? Ping-pong? 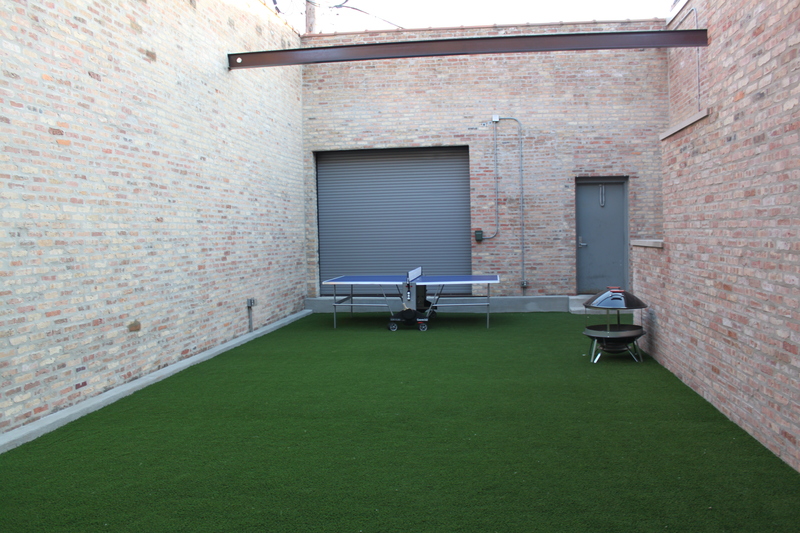 Yes, that’s right, a ping-pong table just in time for the summer. I can’t wait. Menu in hand it was time to take a look at the bar bites and cocktails everyone has been talking about. We ordered 7 plates and while I liked them all but the standout was the Octopus followed by the Truffle Asparagus with Egg. 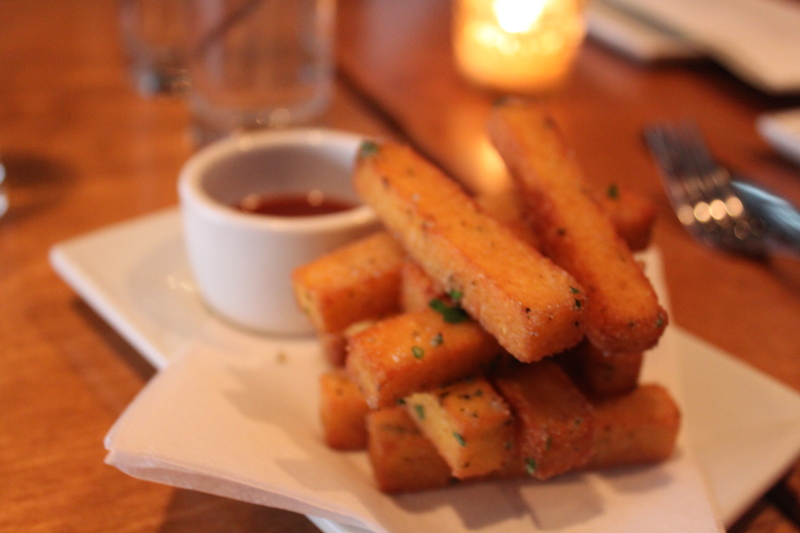 Polenta Fries served with chipotle puree. Easy to share and the spicy puree was a treat. 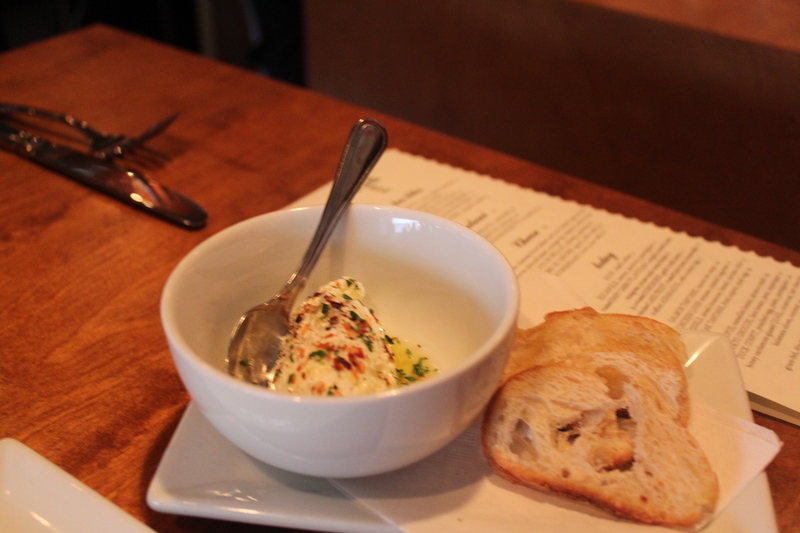 Fresh Italian Ricotta with evoo, chiles, sea salt. What can I say? Fresh ricotta is always good. 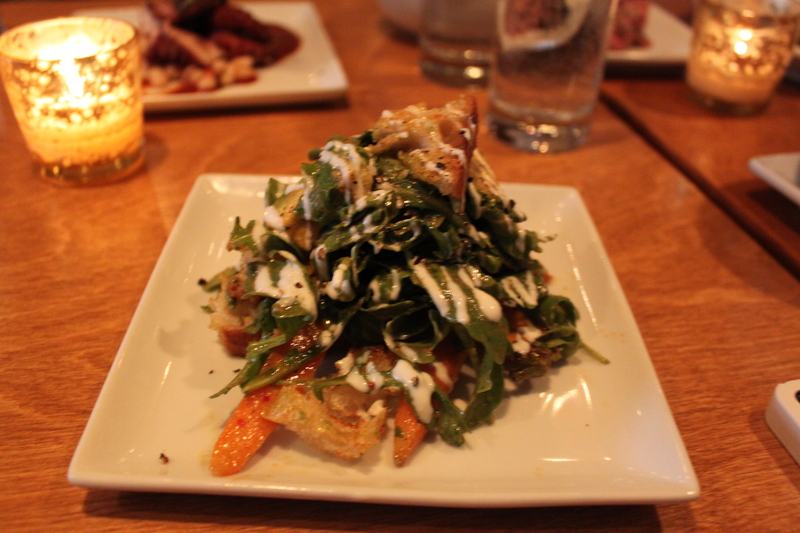 For salad: roasted baby carrots, avocado, arugula, house-made crème fraîche. I would definitely get this again and probably for myself instead of sharing. 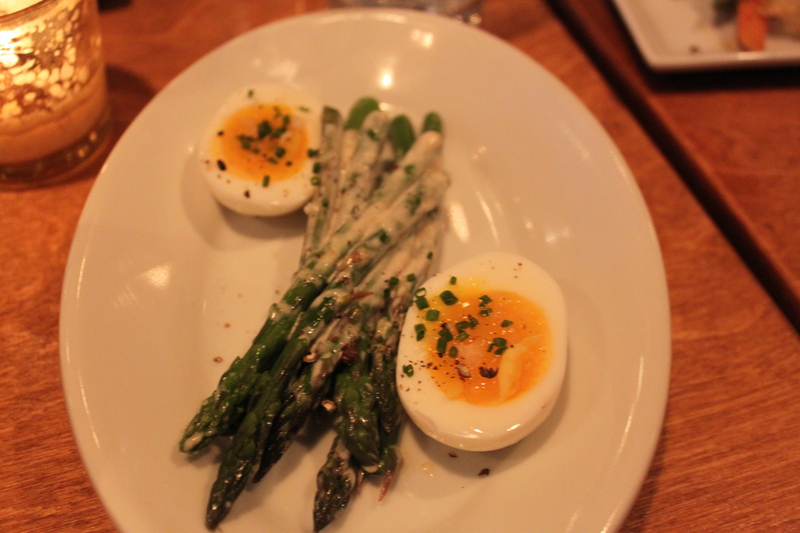 One of my favorites of the night was the truffle asparagus with a soft-boiled egg. Who doesn’t like anything truffle-related? Egg was cooked perfectly as well as the asparagus. Green onions added a little zing as well. This I will get again and order for just me, myself and I. 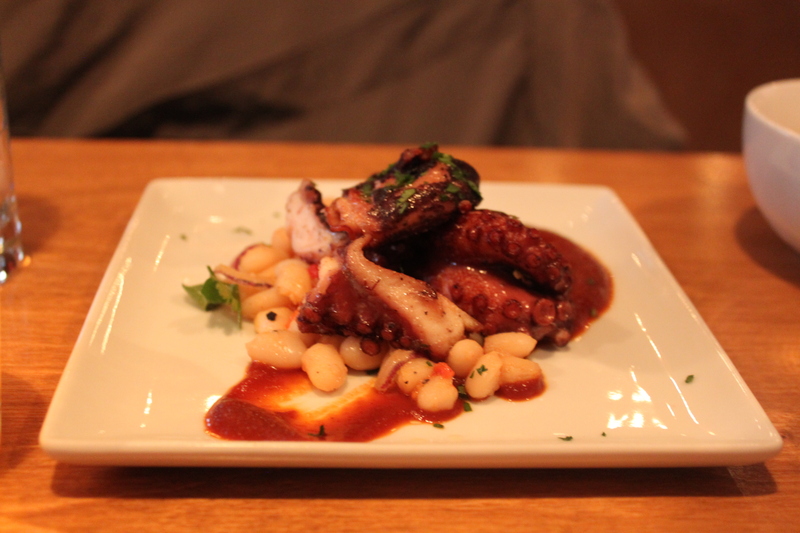 My favorite dish of the night was the octopus with cannellini beans and tabasco mash. I already forgot how the waitress said this was prepared because I was distracted by the taste and the texture but this is the best octopus I have had in a long time. It was simultaneously charred on the outside and tender to the bite. I want to say it was seared and baked but that’s beside the point, just get it. Dessert: Chocolate, Tuscan oil, sea salt, toasted ciabatta. This was another crowd pleaser. Don’t be shy about asking for more bread. The savory of the olive oil and sea salt are a perfect balance to the richness of the chocolate. The picture I took doesn’t do it justice so I pulled a picture from the Ada Street Facebook page. It is worth mentioning that this is a small-plate restaurant so if you are used to Cheesecake Factory portions you will want to eat a snack beforehand. 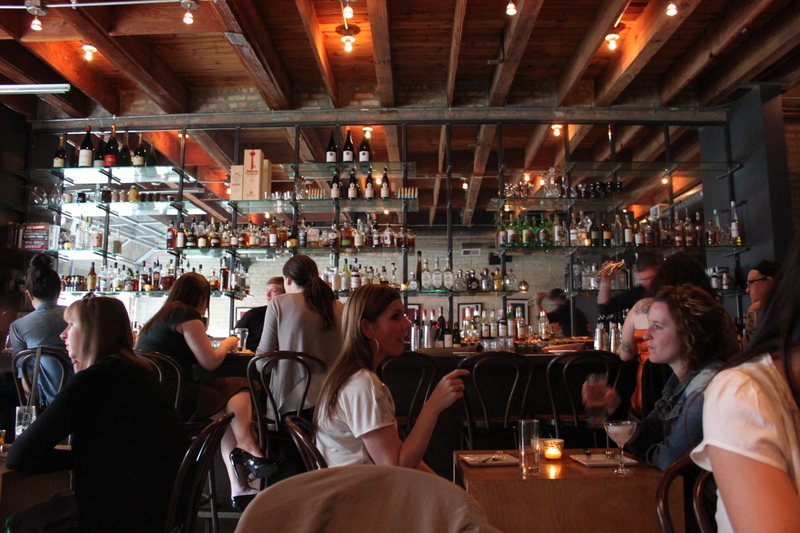 But really there is no need to stuff yourself when you have so many good cocktails to enjoy. With a bar menu conceived by Tim Lacey (the Drawing Room, Spring, Custom House, Green Zebra, and Trio) you know the drinks will be imaginative with a serious side but fun. Although Lacey is no longer there the drinks are very solid. I overheard someone say, “Gin is the new vodka.” Made me laugh but you know what, I think it might be true. 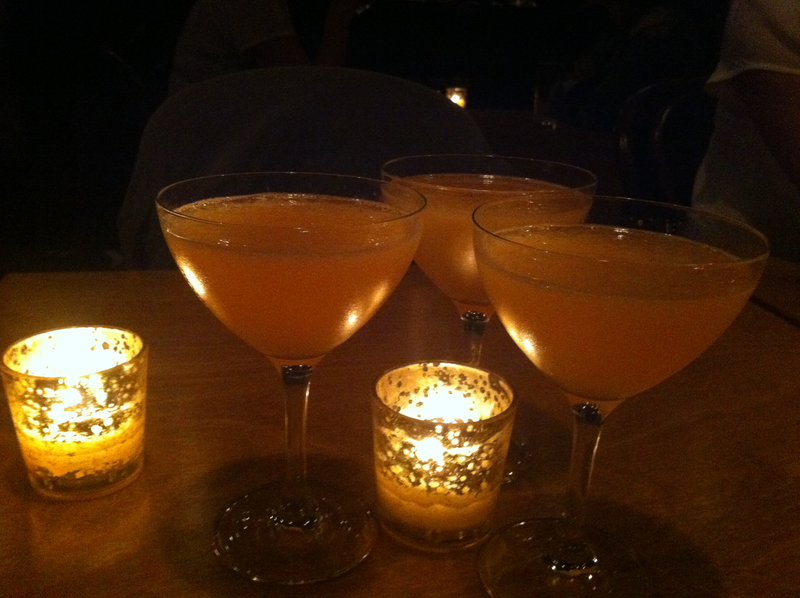 Enter, All This Useless Beauty: Martin Miller’s Gin, Seedling apple cider, lemon, burlesque bitters. This drink goes down very easily and although I could not really taste the alcohol it packed a punch. If I had to pick a drink for the rest of the summer this would be it. Last but not least, Spin the Black Circle: Altos Blanco tequila, Ramazzotti Amaro, agave, fresh lime. Refreshing margarita that will make you fill like you are on vacation. If cocktails aren’t your thing there is a pretty extensive beer and wine list available as well. I don’t know why you would need any more reasons to go to Ada St. but here are a couple more: their backyard opens today and they have a serious vinyl collection.